I love it when world events turn on a PR opportunity that seems too good to miss. In this case, we’ve got two very controversial bills about to be debated in the US Senate, and the arrest of a larger-than-life Internet entrepreneur in New Zealand. From a PR sense, the timing had to be deliberate. With the Protect Intellectual Property Act (PIPA) and the Stop Online Piracy Act (SOPA) due to go before the US Senate but facing a mountain of opposition from the Internet community (see for example, the Huffington Post), Megaupload’s founder Kim Dotcom is arrested in New Zealand to face extradition proceedings on charges relating to money laundering and copyright infringements. Wow – what a perfect subject for the pro-PIPA and SOPA camp! Kim Dotcom – yes, he changed his name – arrested in his (rented) $30million mansion, complete with a fleet of luxury cars, shotguns, giraffe and rhino statues, and a life-size inflatable Russian T72 tank. His past as a computer hacker, ‘phreaker’ and software pirate is referenced in various media reports. Unfortunately, even with the most perfect PR opportunity presented by Megaupload and Kim Dotcom, there seems little prospect that PIPA and SOPA will ever become law in their current form. That’s in part due to the massive Internet-based campaign opposing the legislation, but also to the grey areas involved with Megaupload. If you haven’t seen it, take a look at the Megaupload video on YouTube, which includes endorsements from a range of top-selling US artists (seen via Technology Spectator). Then there are the ramifications of the case on cloud computing as a whole. 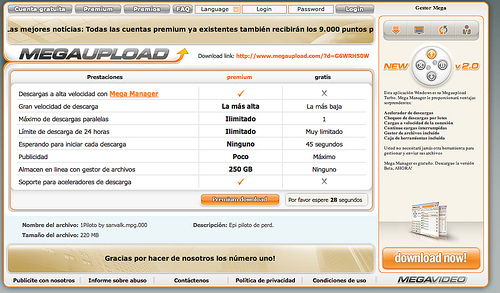 With Megaupload shut down, thousands of legitimate users of the service now find themselves without access to files and data. This ITNews article is worth a read on some of the potential legal ramifications. While the Kim Dotcom case is probably working spectacularly well as an anti-piracy example with the general public, the IT and business community is going to be far more concerned over the longer-term implications the case will have on cloud computing, data sovereignty and regional jurisdiction.